KATHMANDU, Jan 26: The government pushed the much disputed National Medical Education Bill through the lower house of parliament on Friday, using marshals against opposition lawmakers who resorted to obstruction, demanding revisions to the legislation. The bill will come into effect after 60 days at the latest, following the president’s authentication, even if the upper house doesn’t endorse it. 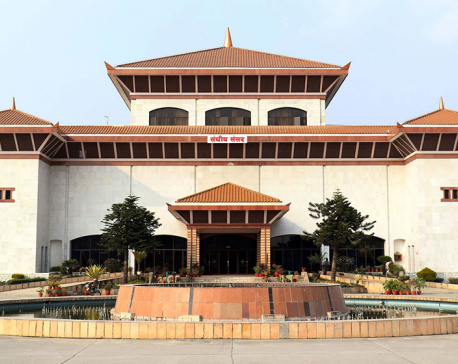 The main opposition Nepali Congress (NC) has termed the bill’s endorsement amid obstructions an autocratic move of a government acting with the arrogance of a two-third majority. 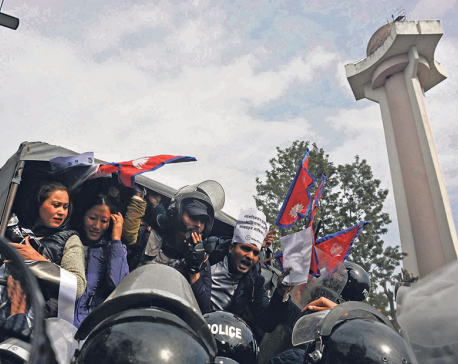 NC lawmakers trooped to the well and chanted slogans against the government. They also raised slogans against the speaker for using marshals to suppress their demands for revisions to the bill in line with the agreements reached with Dr Govinda KC. Speaker Krishna Bahadur Mahara, however, allowed Minister for Education, Science and Technology Giriraj Mani Pokharel to table the bill for endorsement amid all the obstruction and agitation in the well. Nearly 200 marshals were deployed in the House to stop 63 NC lawmakers from blocking the minister’s path to the rostrum. NC President Sher Bahadur Deuba accused the government of forcibly endorsing the bill, ignoring talks and consensus with the opposition and overlooking the fast-unto-death of Dr KC demanding that the agreements reached with him in the past be honored. After talks between the ruling Nepal Communist Party (NCP) and opposition NC failed to yield any consensus, the speaker commenced the meeting at 2 pm, an hour behind schedule. As soon as the meeting started, NC lawmakers rose from their seats and demanded revision of the bill and also warned the government not to dissolve two hospitals named after past NC leaders. At first the speaker urged the opposition lawmakers to lift their obstruction. He then invited the minster to the rostrum to table the bill. Though a previous House meeting was adjourned after a brief scuffle between ruling and opposition party lawmakers in the well, the NCP lawmakers didn’t counter the opposition MPs on Friday. After the meeting, Minister Pokharel claimed that the bill has addressed most of the demands of Dr KC and also included some progressive provisions in addition to his demands. 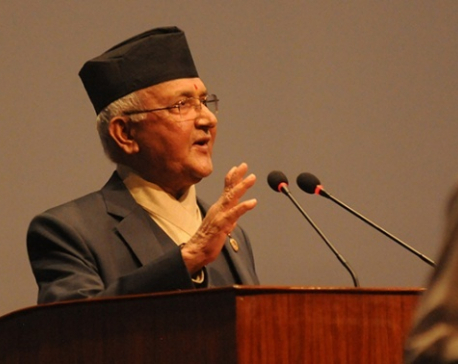 “I urge Dr KC to respect the parliamentary process, withdraw his protests and help its implementation,” he said . NCP leader Yogesh Bhattarai also urged Dr KC to end his protest fast and celebrate the endorsement of the bill, claiming that his demands have been addressed 100 percent. “The bill has helped end the need for Dr KC to stage difficult hunger strikes in future,” he said. But NC leader Thapa accused the government of choosing confrontation with the opposition and being ready to let Dr KC die rather than address the remaining 5 percent of issues agreed with the medical education crusader. “The government didn’t address 5 percent of the demands so as to benefit a few medical colleges. I wonder whether it is the government that is in power or the businesspersons who run the government. The government should answer,” said Thapa.